The Montessori philosophy promotes each child's development of self-confidence, self-awareness, independence, the ability to concentrate, social kills, motor skills and creative intelligence. Children who participate in the Montessori curriculum, develop a lifelong joy for learning. The 'Children's House' offers the opportunity for children to work in multi-age groupings at their own pace. At Yass Montessori Pre-School we aspire to be a Pre-School that provides a Montessori educational experience that is accessible to all. The Pre-School supports an environment that is respectful of cultural diversity and actively promotes an inclusive sense of belonging, for each child, their families and members of our wider community. As a Pre-School we value the individuality of all people involved with the Pre-School and respect and honour their involvement, feedback and support. 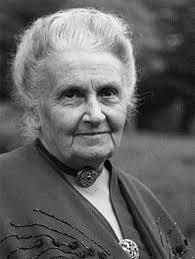 Dr Maria Montessori recognised parents as the child’s prime educators of life. Dr Montessori also recognised that children develop at different rates and have the best opportunity to achieve their potential when the approach to education takes this into account. A Montessori classroom environment is constructed specifically to meet the child’s needs at different stages of development and recognises children’s natural love of learning and the importance of learning at their own pace. That each child is unique, and has the right to be treated as an individual. Children need to know that they will be listened to and that their views are important. Our role as a Pre-School is to support children in their growth towards independence and their quest to understand the world around them. The Montessori classroom spans a three year age range, corresponding to the developmental stages of the child. The Pre-School believes that this model develops community amongst the children who consolidate their social skills by interacting with each other. In providing a classroom environment that is safe, ordered, diverse and innovative, where children may learn and develop through interaction, exploration and discovery. A curriculum underpinned by the Montessori Philosophy and Early Years Learning Framework promotes balance and a deeper absorption of information for the child. Every teachable moment is a window of opportunity to offer your child a specific lesson and not to rush them so that the lesson is not lost. We believe children given responsibility and independence will grow in confidence in themselves, mastering simple everyday tasks. Children should be given the opportunity to be children where learning is enjoyable, in an environment that inspires children to reach their fullest potential through a Montessori approach to lifelong learning. The Montessori philosophy is to enable children to develop self-confiedence, self-awareness, independence, the ability to concentrate, social skills, motor skills and creative intelligence. Children under the Montessori system develop a joy for learning without rewards and punishment, and are self-critical in the learning process. Children work in multi-age groupings at their own pace. Maria Montessori was truly a remarkable woman who was ahead of her time. She became well known for her advocacy of social reform through the education of children. She was born in Chiaravalle, Italy in 1870. She became the first female doctor in Italy when she graduated from medical school in 1896. Her clinical observations in her medical practice lead her to analyse how children learn, how they construct themselves from what is in their environment. When Dr. Montessori became a director of a school for intellectually challenged children, she became interested in the work of Itard and Sequin. She was able to achieve remarkable results and these children competed successfully in public examinations. Dr. Montessori began to wonder what was possible to achieve using these methods with all children. In 1906 Dr. Montessori accepted the challenge to work with sixty children of working parents in the San Lorenzo district of Rome. There she founded the first Casa dei Bambini or Children's House. The Montessori method of education developed there, based upon Montessori's scientific observations of the children's effortless ability to absorb knowledge from their environment, as well as their sustained interest in manipulating developmental materials. Her method was developed based upon what she observed children did, naturally, themselves, unassisted by adults. Children taught themselves. This simple but profound truth formed the cornerstone of Montessori's life-long pursuit of educational reform, a reform that was built upon the child's self-creating process. She realised that children have a natural love of learning and that education is an 'aid to life' and must be provided in a secure and harmonious environment. Today there are Montessori schools all around the world both in the independent and public sectors and Maria Montessori's work continues to grow, serving the needs of children in many countries.